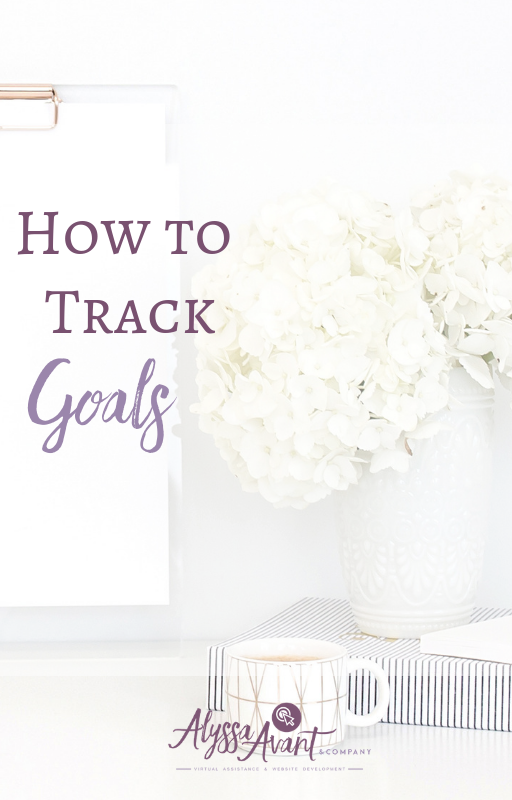 Today, We are going to be talking about how you should track your goals. In the previous posts I’ve had come out in the past few weeks we’ve been talking about goals the entire time. I absolutely depend on goal setting in my life and business. It helps me to feel like I have made the achievements I want to make and tracking helps me to know if I am on track to do so. 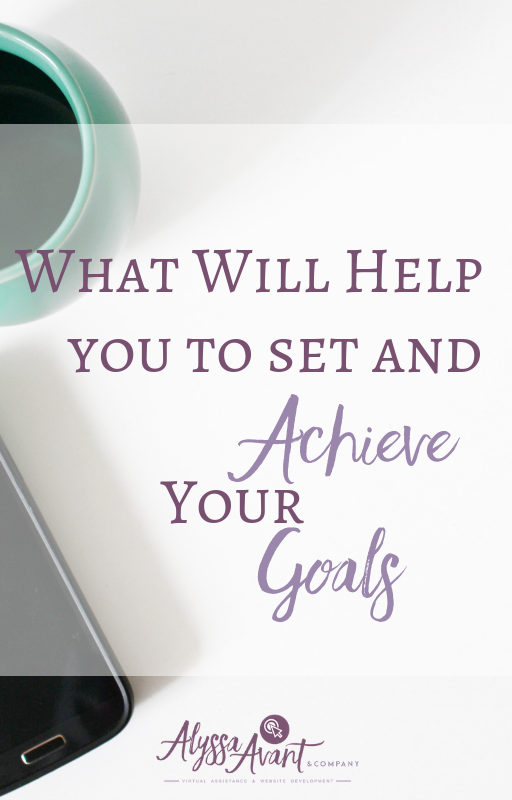 I want to share with you a few of the ways that I track my goal setting and my accomplishments, the tactics, the actions, the steps that you will take to accomplish your goals. This will help you to see where you are each week. Write them down! I am always surprised when I talk with someone and they say that they have goals, but they cannot even verbalize them. Put them in a place where you can see them on a regular basis. In the past, I have used a whiteboard to write my goals on, but I have also used some paper and used scrapbook paper to make it look pretty so I could display it on the wall near my desk. Share them with other people. This will give you a sense of accountability. Whether it be your spouse, a mastermind group or accountability group. Having someone to help hold you accountable will spur you on to achieve more of your goals. They can check in with you on a regular basis and you with them. 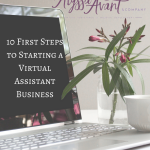 AlyssaAvantandCompany.com is a participant in the Amazon Services LLC Associates Program, an affiliate advertising program designed to provide a means for sites to earn advertising fees by advertising and linking to Amazon.com. Are you a goal setter? Want to be a goal setter? 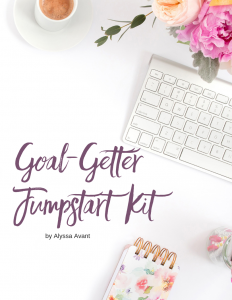 I would love for you to download this FREE Gift – – the Goal Getter Jumpstart Kit, which will guide you through my Goal setting series that will be going live each Monday in December on my all new Youtube channel. Today we are going to talk about the topic why you shouldn’t set yearly goals. You’re probably wondering, “so you’re not supposed to set yearly goals?” Actually, you are supposed to set goals you’re just not supposed to set yearly goals and the reason that I say this is from a concept that I learned in the past year that has truly changed the way I go about goal setting, planning and getting things done. That concept is the concept of setting 12-week goals. You may have heard of the book The 12 Week Year by Brian P. Moran. This book has really helped me to break down my goals into more manageable chunks and to absolutely accomplish more of them. That is why I say, “don’t set yearly goals.” Instead, set 12-week goals. If you think about it, that gives you 4 more changes each year to achieve your goals. Who wouldn’t want more chances to achieve their goals, right? 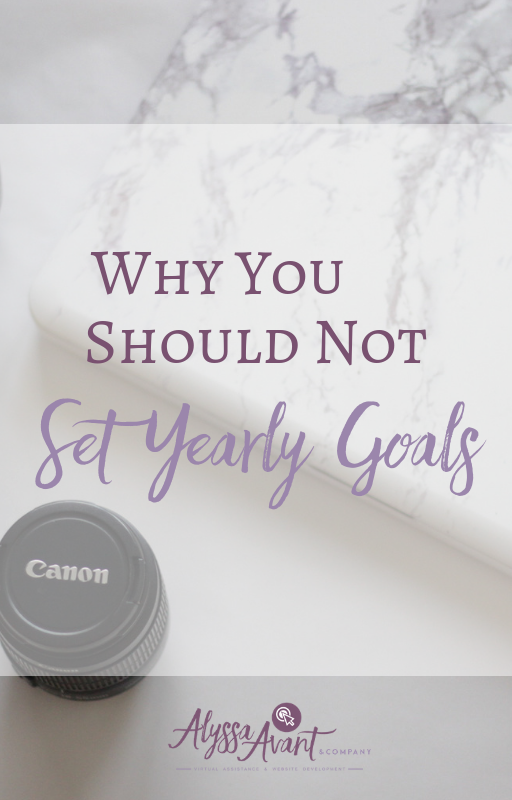 So, let's talk about why you shouldn't set yearly goals and what you should do instead. Here are some reasons why you don't want to set yearly goals. Reason #1 - You're going to procrastinate. Reason #2 - Setting a larger yearly goal will make you overwhelmed. Reason #3 - You're going to lose steam. That is why you should set your goals in small increments, such as the 12 weeks. Set those manageable goals in a shorter amount of time. You will see momentum increase in your life and your business as you set goals that are more manageable. The 12 weeks will help you to forward with manageable goals but also strategic goals because they will be broken down into a specific plan of attack, which is what you will learn to do by setting a 12-week goal versus a long-term yearly goal. 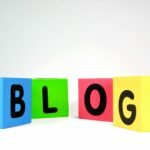 I hope that this helps you to understand exactly why you should not set yearly goals in your life and business and why you should break them down into more manageable chunks such as setting 12-week goals. 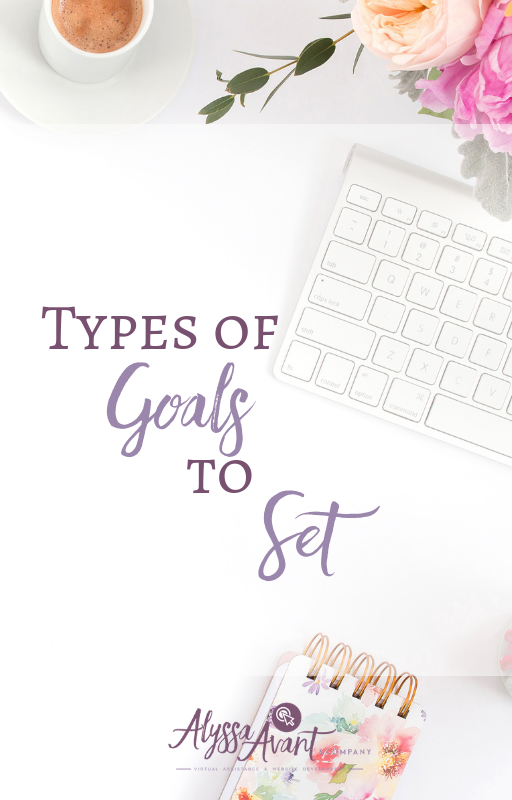 Today, we are going to be talking about what types of goals you should set. I know that this is a topic that likely most everyone has an opinion on, but as a longtime business owner, I wanted to share with you the types of goals I currently set in my business and life. I have always felt that it is important to set goals in my business. However, when you are a business owner especially if you are like me and work from home many times your life and your business sort of mesh together. When you begin to set goals you want to think about goals in both areas, your life, and business, but if you are like me these two areas will mesh together. There are three areas that I choose and I recommend that you choose to set goals in and then, of course, there are other areas that you could consider as well. We are going to focus on those top three areas that I recommend you set goals in as a business owner. Area #1 – Financially – A monetary goal for your business. I believe that without a target you don’t know what you are striving towards. Area #2 – Personal Development – This might include reading books, listening to podcasts, taking courses, joining coaching programs, or attending events. Area #3 – Spiritual – Goals to help me grow in my relationship with Christ and how I will be sure to make God apart of the business. Prayer goals, Bible reading goals, or time spent with God. Relationships – Relationships with those in your life. Physical Fitness – Goals for your health and weight. These areas can be exchanged for the top 3 areas if these apply to you and your life and business better. Today I will share with you a few of my favorite resources from this past year that have helped me in the area of setting and achieving my goals as well as a couple of other things that you can do to help you better set and achieve your goals. The 12 Week Year by Brian P. Moran – I read this book early on in the year. I’ll admit that I didn’t set my goals at the beginning of 2018 as I have in previous years. I was a little late in the year as I struggled with setting my goals last year. I learned a lot from reading this book. This book has changed the way that I set and track my goals, which is why I highly recommend this book. The second piece that I have or used this year is just a simple notebook. I used this notebook to track and record my thoughts and quotes from the books I read this year, including Bible Based Business, The 12 Week Year and Launch by Jeff Walker. All three were great books and great for business. I just simply recorded notes as I read along. I am a nerd in this way and I tend to take notes especially if the book is nonfiction. Those are the types of books I read most often. This has helped me along the way so much. It helps you to read the book, stay focused on the book and as you read your notes later on you are able to apply what you’ve read to your goals and your life. Some place for you to track your goals for the year. 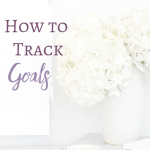 I will share more with you in the future about how you will not just track a yearly goal, but also to break down your goals and track them in an easier manner. This is a concept that I learned in the book, The 12 Week Year, which encourages you to set goals based on every 12 weeks, rather than on the entire year or 52 weeks at once. So, what you would do is you would set goals for a 12 week time period, then you would work on those goals for 12 weeks. Then you would set a new set of goals for the next twelve weeks. Obviously, in this way you wouldn’t be looking at goals from a larger perspective such as I will set goals for the next 12 months, instead, you would look at it in a much smaller way, being that you would set goals for the next 12 weeks. The 12 Week Year encourages you to do 3-5 goals max. You would break those down into what Brian Moran calls tactics, or action steps that you would take in order to achieve those goals.Then you would track them and you would see, “Did you complete the tactics that you need to in order to achieve your goals during that twelve weeks. ?” You would track it every week and you would determine what percentage of the tactics did you complete each week in a manner in which you could achieve your goals. That is the basics of this book, but obviously, there is so much more to it. These were the three resources that I used this year, but I also have two more things that I believe will help you to set and achieve your goals and those two things are a plan and accountability. You want a written plan that you can refer to each day, which is why I say having a place to track your goals that are in proximity to where you work is important. Finally, you will want to have accountability. With the 12 Week Year concept, it encourages you to have a group of people which will hold you accountable. I had a group of people that I did this with. We called our group a WAM group, which stands for Weekly Accountability Meeting. In our group, we would meet weekly to share what we were able to achieve, what we were able to improve upon and the percentage of tactics we were able to achieve each week. This has set us up for success obviously because we knew that the others in the group would be waiting to hear our results.